Air Canada is one of the world’s largest airlines and a member of the Star Alliance. 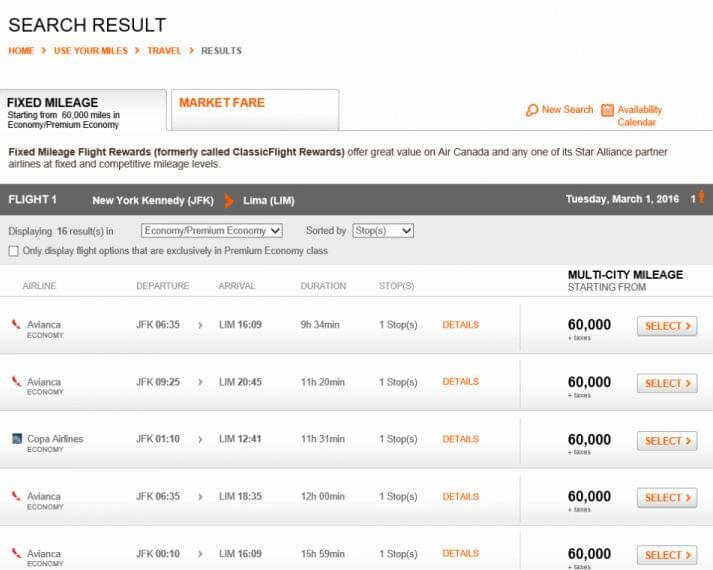 Aeroplan, Air Canada’s loyalty program, has generous routing rules on award flights. A round-trip ticket can include two stopovers or one stopover and one open jaw. A stopover is when you make a stop on the way to your final destination that’s longer than four hours on domestic flights, or more than 24 hours on international flights. With an open jaw, you can fly to one destination and return from another, or you can depart from one city and return to a different one. With all of these partners, it’s easy to build an itinerary to South America using Aeroplan miles. 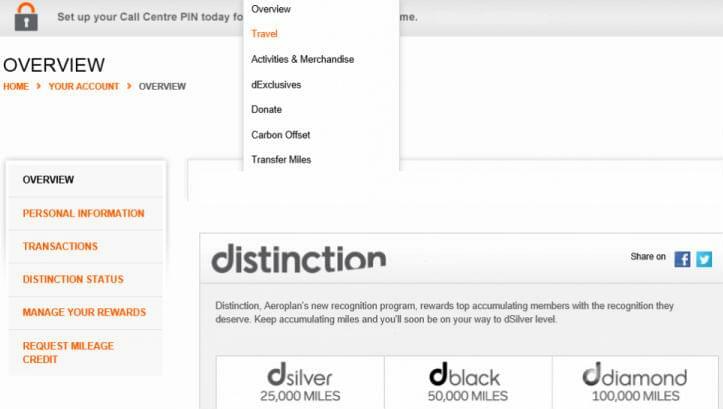 And with Aeroplan’s generous routing policies, you can see a lot of South America on one award ticket. 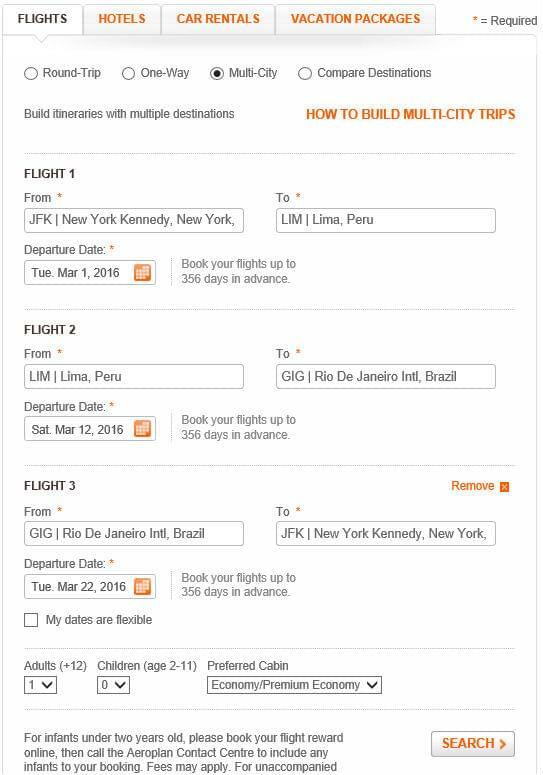 In our example, we’ll book a flight from New York to Rio de Janeiro with a stopover in Lima. We’ll then consider out options for using another stopover. 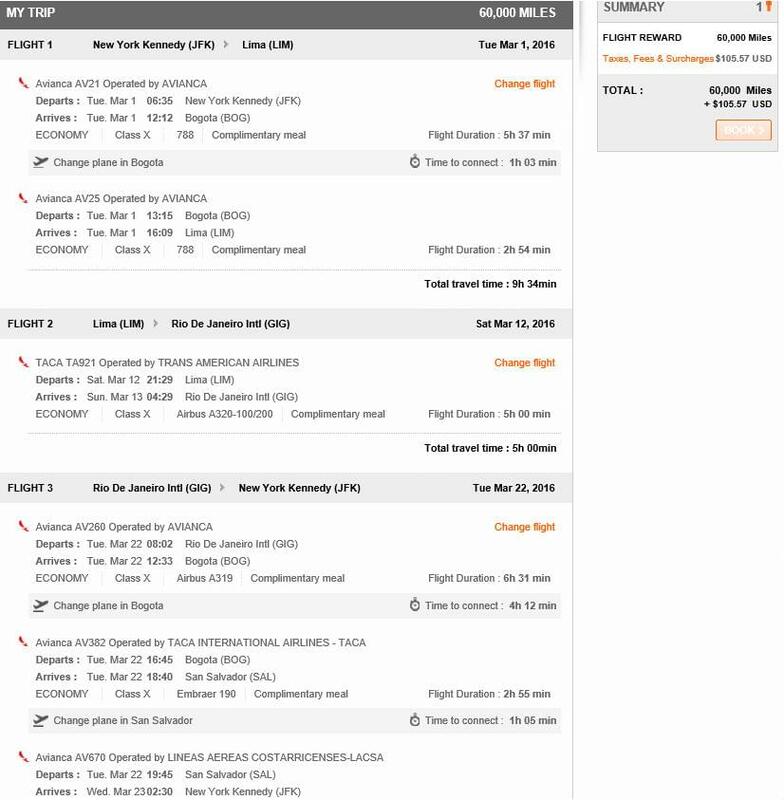 You can’t book an itinerary with two stopovers on Aeroplan’s website, but you can book round-trip flights with one stopover, or one stopover and one open jaw. You’ll have to call if you want to use two stopovers. Whatever the case, you should try and build your itinerary online, even if you have to do it segment by segment. This will allow you to see what routes are available. In our example, we will try to string together the whole itinerary first to give us an idea of where to make our stopovers. After hitting “search”, the next page will show you the results sorted by travel times. Click “select” to choose your flights. 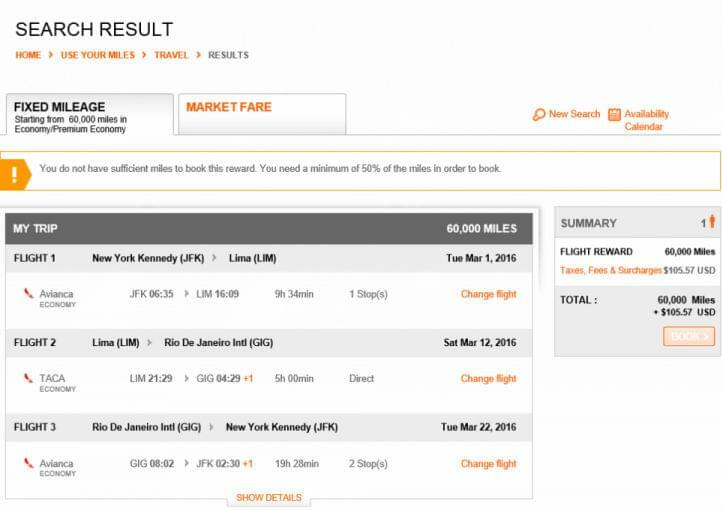 After choosing the three flights for your trip, you’ll see a page with the final itinerary and its cost. Click “show details” to see the specific routing. Now you can see all the options you have for another stopover on this trip to Brazil. You could stop in Lima and Bogota, Lima and San Salvador or, if you skip Peru altogether, Bogota and San Salvador. There are many routing options. Remember that you need to call to book two stopovers. If you plan to do this, it’s best to search for every segment you’re interested in separately before contacting Air Canada.